Chart success for our artists! 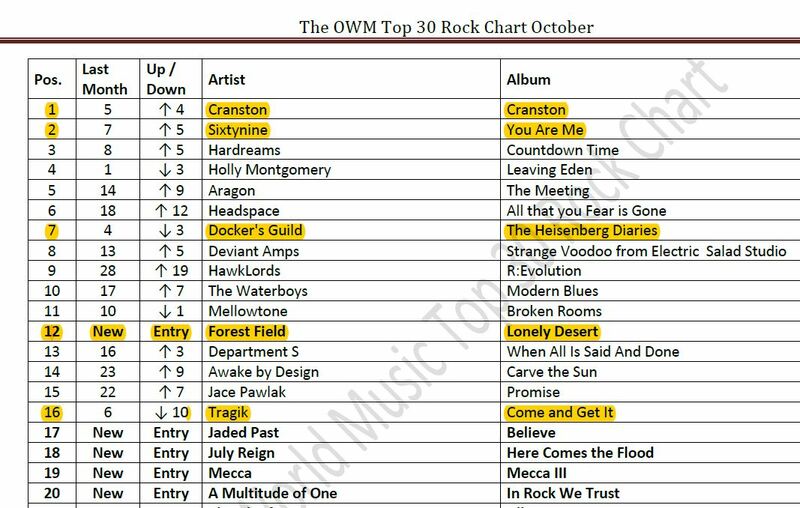 Still cannot believe the chart success for our artists on the October Rock Chart on One World Music. We have #Tragik at #16, the highest new entry with Forest Field at #12, Docker’s Guild at #7, Sixtynine at #2 and #CranstoN (with Phil Vincent and Paul Sabu) at NUMBER 1! And the former #1, Holly Montgomery, whose album we distribute, is on position 4! The show repeats today at 9PM GMT, or catch the #podcast: http://oneworldmusic.co.uk/#/chart/4593008507 or below.